From the Sorcerer's Skull: A Day When Titans Walk the Earth! 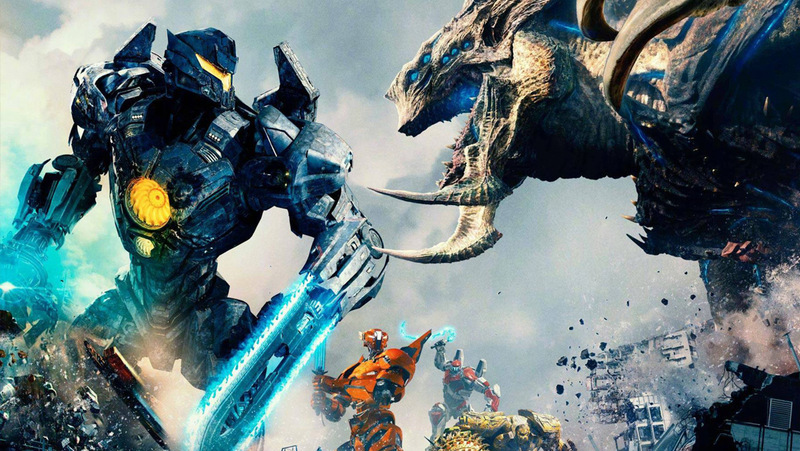 I saw Pacific Rim: Uprising yesterday. My short review: If you liked the first Pacific Rim, you will probably like this one, though I missed some of the del Toro quirkiness. If you didn't like the first one, this one probably won't change you mind about the series. Anyway, vaguely tentacled blob things from another dimension taking over the minds of those who make contact with them, driving them mad, and monsters rising from the ocean depths made me think of the Cthulhu Mythos. The first movie had me distracted with the name "kaiju" and all that, but it really is a sort of Lovecraftian (in a way Lovecraft himself would have never, ever wrote it) setup. Now, I know there is a game called CthulhuTech which is mecha vs. Lovecraftian monsters/aliens, but what I think would be cool is something a bit less Neon Genesis Evangelion and more 70s Shogun Warriors! That would be a cool setting, I think. 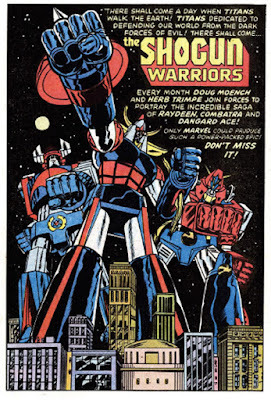 I suggest looking up Mazinger Z, then Go Nagai's other big robot anime and manga, which inspired both Shogun Warriors and del Toro's Pacific Rim. 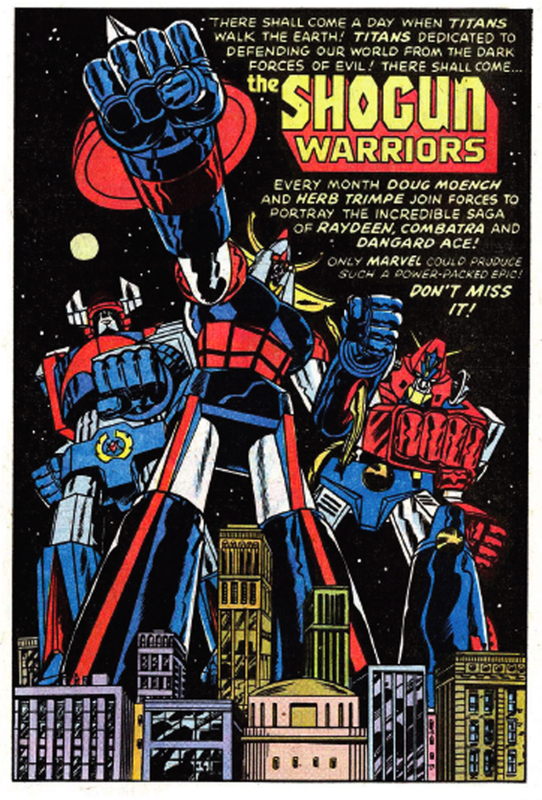 I love those old Shogun Warrior comics from Marvel. Combatra's my girl! My son (age 7) has a huge fascination with kaiju...perhaps due to being exposed to Godzilla at an early age. We've even incorporated kaiju (a la Pacific Rim) into our Axis & Allies games (no giant mecha yet...still working out the rules for those). We'd certainly like to see the new PR film, but I'm afraid he's going to have to wait at least a couple years. Still, glad to hear it wasn't terrible (something I was worried about with the absence of Del Toro).